As a bit of background, In Sept 2014 I purchased a Dell XPS15 with an I7 processor. It took almost a month to arrive, and when it finally did I noticed a high pitch whining noise coming from it periodically. Originally I thought it was some type of hard drive noise, but narrowed it down to an electrical noise, similar to an old fashion electrical choke whine, which was loudest when the notebook was 100% charged. I called Dell support to report the issue, and they dispatched a technician that replaced the motherboard. That did not resolve the issue; so they sent another motherboard that was a different part number, a new power adapter, and a new power connector. These took several weeks to arrive, and once installed did not only not solve the issue, but were louder than the original motherboard. They then ordered a brand new notebook from the factory, which finally arrived the middle of December. In the meantime I fiddled with the original notebook, and since I had a total of 4 different motherboards with various levels of issues I thought I would share what successes I ended up having with the different motherboard versions. A note that what worked on one motherboard did not always make a significant difference on a different motherboard, which is why I titled this posting “potential solutions” since what worked for me may not work for you if your motherboard version is different. If you are having significant issues and your laptop is still reasonably new I would suggest you try to get Dell to replace it with a new one. The new XPS 15 that I received is not totally quiet, but is at least 1/4 the noise level of the original and the slight bit of noise it does makes is at a lower frequency and not nearly as irritating as the high pitch from the original unit. The Intel Haswell processors are known to create f this type of noise and it appears the issue is not exclusive to Dell, but from what I could tell from googling the issue it appears the XPS notebooks have a much louder level of noise than many other Haswell equipped notebooks. The new XPS 15 noise level seems more in line with the other Haswell notebooks on the market. A solution that worked on 3 of the 4 motherboards to significantly reduce the noise was to disable Intel Speedstep in the BIOS. Keep in mind that this is dumbing down your processor and disabling the variable CPU speeds, which will effect your power management and battery life. 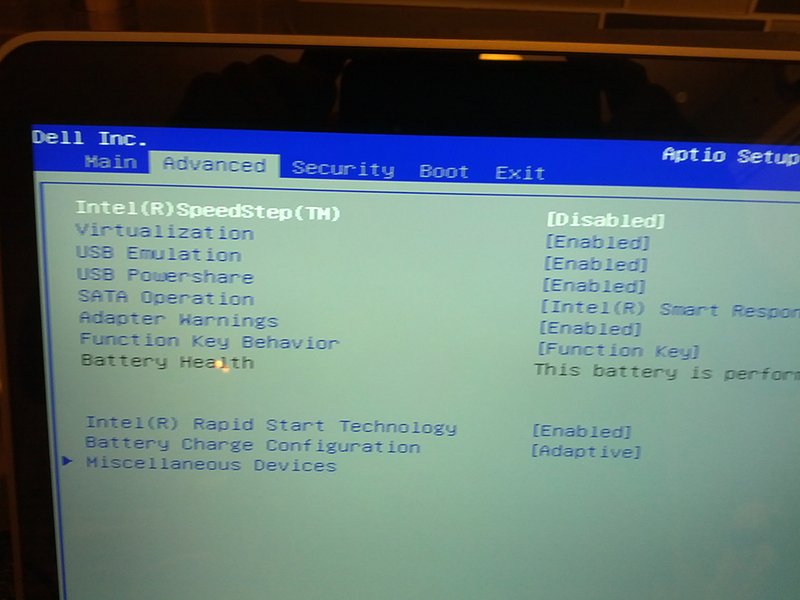 The actual option in the BIOS that I was originally looking for was the ability to disable some of the C-States, but the Dell BIOS unfortunately does not have an options to control the available C-States on the processor. I figured that disabling speedstep would disable all of the c-states. (if you google “intel c-state” you can get all kind of info on how these work). This may be a workable option if you primarily use the laptop plugged in. Even booting just into the BIOS the decreased sound level was immediately noticeable with the SpeedStep disabled. The other thing that worked on two of the motherboards to reduced the noise was to change the power settings from “Dell” to “High Performance”. 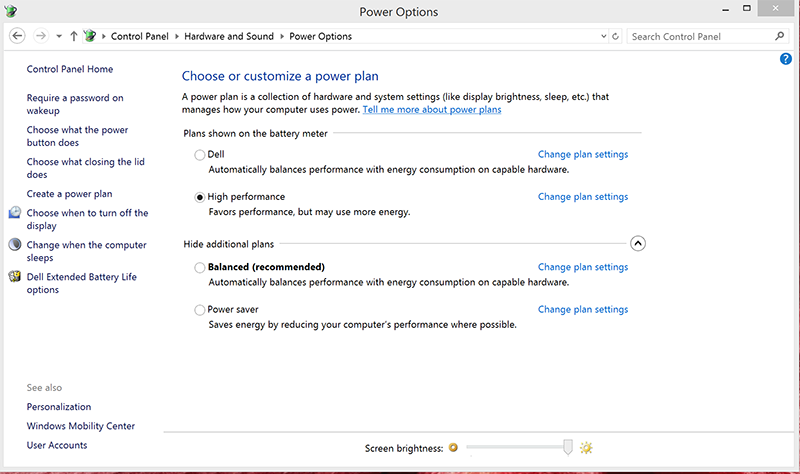 On the new XPS 15 that just arrived changing the power option from Dell to High Performance virtually eliminates all of the remaining noise. Hopefully the notes above and the frustration I had with this notebook over the past months will assist someone else with their own XPS noise issues. Other than this one issue the XPS 15 is a wonderful notebook, with one of the best displays I’ve ever seen. I’m hopeful that this latest replacement unit will now stay quiet and serve me well for many years. UPDATE: Shortly after receiving this replacement XPS 15 it developed a trackpad issue, which resulted in another couple months of service attempts and eventually a THIRD replacement XPS 15. You can read about my woes with the track pad here. My TV does the same thing, this is due to an undersized capacitor that has ruptured. might be a similar problem! I have 2 new dells both with the same problem of high pitch sound that i am very sensitive about your suggestions lower the noise by around 50%..
Let me know if there are any new solutions, this is frustrating and I hope someone will pay..